The iJust 3 battery and ELLO Duro Atomizer consist the iJust 3 Kit that has 3000mAh built-in battery for long standby time. It can fire up to 80W to deliver huge cloud and 4-color changeable light will indicate the power status clearly. The iJust 3 battery and ELLO Duro Atomizer consist the Eleaf iJust 3 Kit that has 3000mAh built-in battery for long standby time. It can fire up to 80W to deliver huge cloud and 4-color changeable light will indicate the power status clearly. In addition, it is compatible with latest HW coils. Here are two versions of liquid capacity that include 6.5ml and 2ml for your choice.The compact and portable size makes it easy to carry. So what are you waiting for? Just get it to enjoy the perfect and easy vaping experience. The color and the performance are amazing; I use the eleaf kit every day. Pre ordered this ijust 3 kit when it's released and waited for 20 days. Thankgod it's not too long. Now I am enjoying it, no leaking, no dry hits. Really easy to use this starter kit, just fill in the liquid and a few seconds later, I can enjoy the pure flavor. I can't believe the product is authentic with such a low price for joyetech kit. I have checked the authenticity on joyetech official website, it's not fake. Cool. Friends suggested me to choose this Eleaf ijust 3 kit as my first gear cuz Eleaf is a trusted brand and this kit gets good comments. So far it works fine for me. A simple and elegent vape pen. Recommend this ijust 3 kit to all starters. Nice craftsmanship and touch. I haven't found any defects about this joyetech kit. Amazing price for a quality product.I'm new to vaping and Eleaf iJust 3 kit is my first e-cig. Eleaf iJust 3 Kit is a cheap starter kit,it's a good choice for beginners. Eleaf iJust 3 Kit with ELLO Duro Atomizer is a good choice for tartter,you only need buy e-juice. 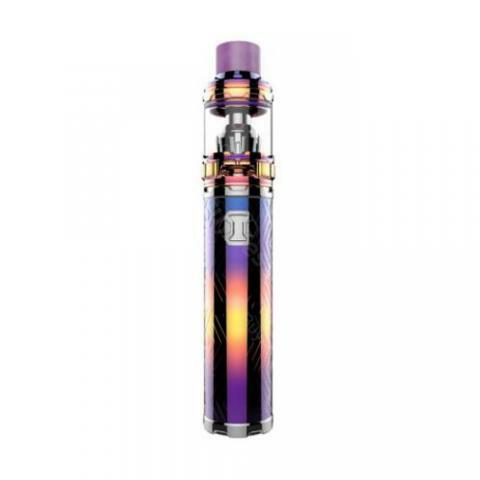 Ijust 3 is a classic design, it has pleasant and enjoyable flavor. I would take it every day in my porcket. Easy to use and firm and feels good in hands and most importantly, it's durable in battery life. I can make some cool clouds now. It's my new toy lately. Cool stuff. It didn't let me down. Eleaf iJust have 3000mAh battery ,the sliver ia very beautiful.The kit is very small and fits in every pocket. as much as it's not a new product, I still bought it. The reason for that I checked all the review videos and I found it fit. All good. TY. It crates huge clouds, tastes great. Super quality! Love it! Shipped as described and as good as described. Давно хотел купить метери подарок для бросения сигарет. Eleaf iJust 3 Kit ей очень понравился.